SWR Barroselas Metalfest 2018 will take place in Barroselas, Portugal on April 27-29, 2018. 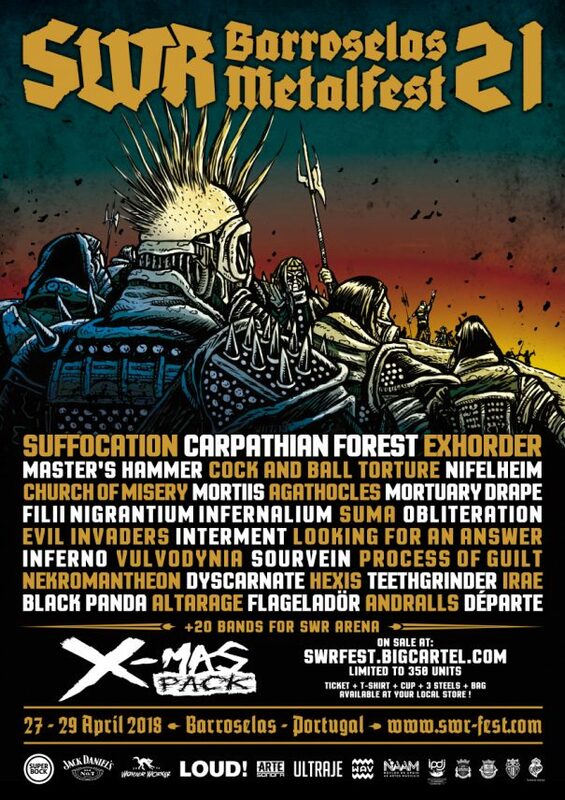 Suffocation, Carpathian Forest and Exhorder are among the bands that will perform at SWR Barroselas Metalfest 2018 festival. Obscene Extreme will take place at Trutnov-Battlefield, Czech Republic on July 11-14, 2012. Asphyx, Suffocation and Krisiun are among the bands that will perform at the Obscene Extreme 2012 festival.